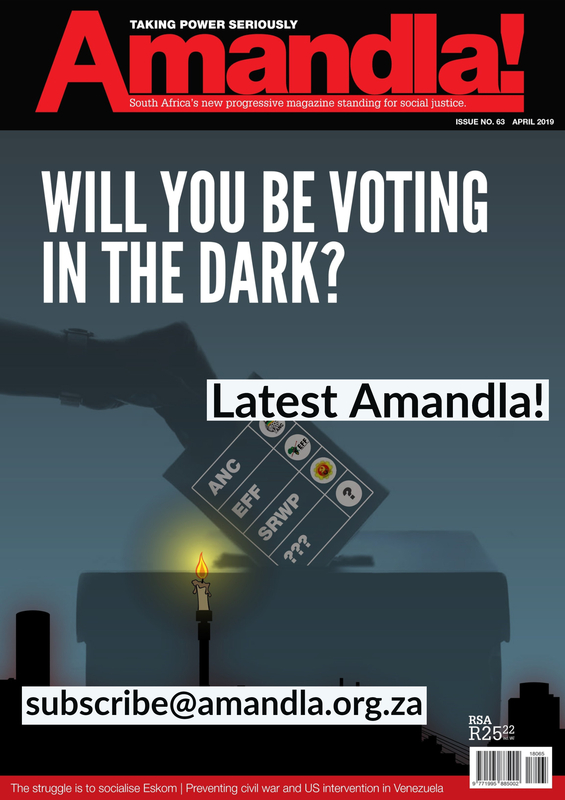 Home › Amandla › Where to from here for Eskom? Where to from here for Eskom? Eskom started off 2018 in a difficult position. Its finances were a mess. There was little trust in the board, which was heavily associated with the tentacles of Gupta’s state capture. There were major governance issues and pervasive allegations of corruption. Demand for electricity was dropping, while at the same time the price of electricity has been increasing. This resulted in an even greater fall-off in demand. And Eskom was committed to a very expensive new build programme. Leaked interim results at the beginning of the year showed that Eskom was not earning the income it had budgeted for. It was running out of money and was experiencing great difficulty in raising money. This has not been helped by Eskom being downgraded to junk status by the rating agencies. Eskom not only has very high operational costs but also needs to service a R500 billion debt. Somehow, it needs to earn enough income to service interest repayments, or it needs to be bailed out by government. This year it has already received an emergency loan of R5 billion from the Public Investment Corporation, as well as support from commercial banks, in order to avoid defaulting on its debt obligations. In an attempt to cover its rising costs, Eskom has been requesting high tariff increases from National Energy Regulator (Nersa) over a number of years. The latest was at the end of 2017, when Eskom requested a 19% once-off tariff increase. Nersa rejected this request and granted a 5.23% increase instead. However, Eskom currently has three applications underway at Nersa requesting under-recovered revenue from previous years totaling R60 billion. If these are agreed to, electricity prices will go up yet again. 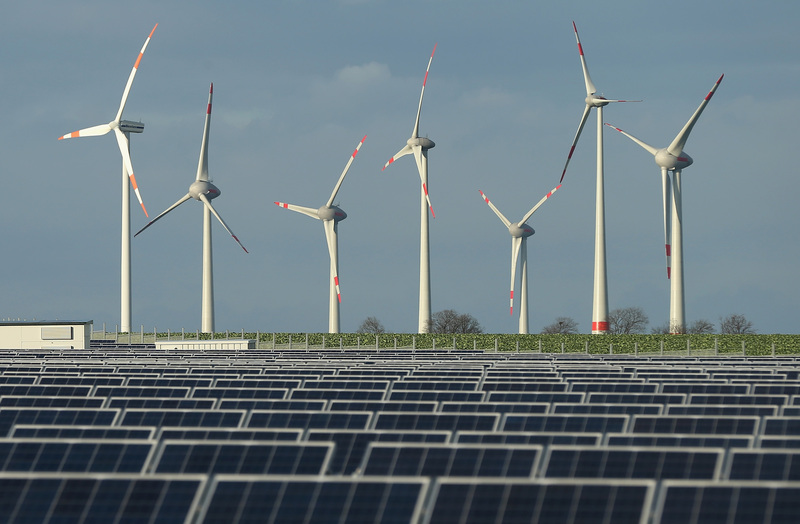 The real price of electricity has nearly tripled over the last decade. Electricity in South Africa used to be among the cheapest in the world, but this is no longer the case. Overall demand for electricity has also been falling over a number of years. This is partly because of the increases in the tariff. More people, particularly commercial and high-income residential users, are reducing the amount of electricity they take from the grid and will continue to do so. With the increasing cost of electricity, and the localised possibilities created by renewable energy, many households that can afford to are making use of renewable energy solutions such as rooftop solar panels. In 2017, absolute annual national usage of electricity in 2017 fell to below 2007 levels. The decrease in demand from industry has also been dramatic – it has fallen by more than 14% since 2011. This is not only because of the increase in tariffs, which has resulted in industry implementing greater energy efficiency measures, but also because of the state of the economy. One of the major problems this creates for Eskom (and for municipalities) is the resultant drop in income. It also means that Eskom has to become more adept at handling variable demand, as well as electricity being fed into the grid from many different renewable energy sources. Eskom also faces a R30 billion debt from municipalities, with Soweto owing about R14 billion of that amount. The amount owed has been increasing steadily, more than doubling from the R5.5 billion that was owed in September 2015. There was and continues to be much anger among ordinary South Africans towards Eskom for high tariffs, disconnections, lack of access to electricity for many, and the financial and governance problems at the utility. Can the Eskom ship be righted? Over the last few months government has taken some steps. But there is much debate about whether it is possible to rescue Eskom. Some have even been arguing that it may not be desirable to rescue it. They say that a monopoly utility such as Eskom is no longer valid in a changing energy world where it is becoming normal for electricity generation to come from many small devices connected to the grid (distributed energy). Eskom is already weakened by being obliged to run like a profit-making company (corporatisation) as well as state capture. It is also facing the increasing use of renewable energy. Can it rise to the challenge of becoming a viable state utility that is committed to effectively meeting the energy needs of ordinary people? Over the last couple of months, some of the governance issues have been addressed. There is a new Minister in charge of Public Works – Pravin Gordhan has replaced Lynne Brown. A new board has been put in place with Jabu Mabuza as the new chair, and Phakamani Hadebe was installed as the acting chief executive. But much more needs to be done. Numsa and other trade unions and civil society organisations have, for instance, long called for the decorporatisation of Eskom. It should be structured as a government-owned public service, not a profit-making company. They have argued that it is the corporatisation of Eskom in the early 2000s that started the descent into the chaos that Eskom now finds itself in. Government explicitly excluded Eskom, as a state body, from being part of the renewable energy programme it introduced in 2011 through the Renewable Energy Independent Power Producers Procurement Programme (REI4P). But it plays a key role in the rollout of renewable energy in the country. 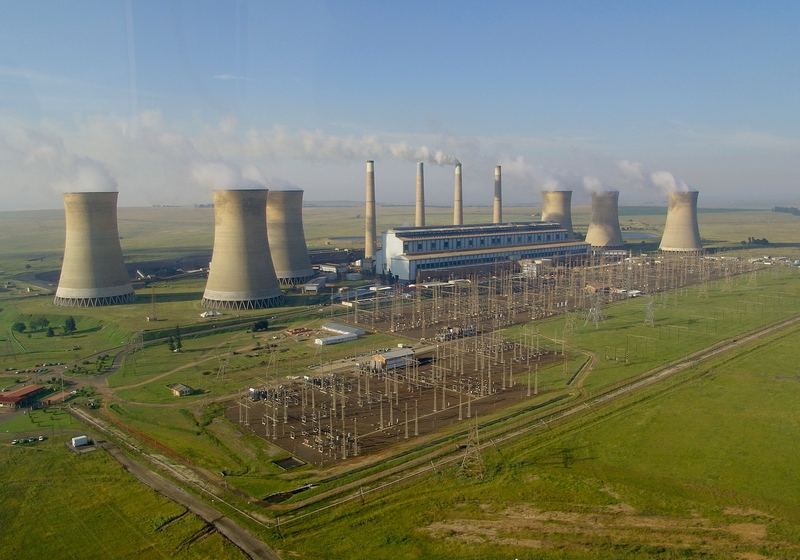 It is Eskom that is meant to sign the Power Purchase Agreements (PPAs) with the preferred bidders. In 2017 Eskom refused to do this for 27 projects. A variety of reasons were put forward for this refusal – these ranged from there being a surplus of electricity in the system which meant the electricity was not needed, to the high cost of the renewable energy and the impact on some of the coal-generating plants which would need to be closed as a result of renewable energy coming online. Government intended to go ahead with the signing of the PPAs earlier this month, but the process was halted when Numsa interdicted it. Both Cosatu and NUM have issued press statements in support of NUMSA’s action, highlighting in particular their opposition to the privatisation of renewable energy. This action by Numsa put the issue of a Just Transition from coal-generated electricity to renewable energy firmly on the agenda. So far, the government has made important commitments through the Paris Agreement to reduce carbon emissions in the country. But it has done little to put in place an effective process to consult affected trade unions and communities. This is a major failing that the unions are calling attention to. The NUMSA interdict has also raised another very vital point – they have made it clear that they are opposed to privatised renewable energy, not renewable energy itself. This is a distinction that is not often made in the debate in South Africa around renewable energy, but it is a vital one. There is a real danger that, as a way out of the current Eskom mess, government privatises large parts of it. A recent discussion document on energy, released by the National Planning Commission, has squarely put the privatisation of electricity generation onto the table as one of the key steps that could be taken to “reduce electricity prices (relative to the status quo), further promote investment in various parts of the electricity supply chain, drive sustainable economic growth, meet the needs of the poor and move South Africa towards a low-carbon economy”. But international evidence has shown that on the whole IPPs (a form of public-private partnership) result in high costs, high tariffs, long-term and rigid contracts, and no greater efficiency than public entities. There are major financial, governance and operating challenges for Eskom going forward. In addition, renewable energy poses many new challenges which Eskom seems ill-equipped to deal with effectively. The key question that we need to debate going forward is this: with the inevitable growth of renewable energy, who will own and control the distributed energy production operations? Do we use the renewable energy revolution to restructure the energy sector so fundamentally that there may be no more role for Eskom? 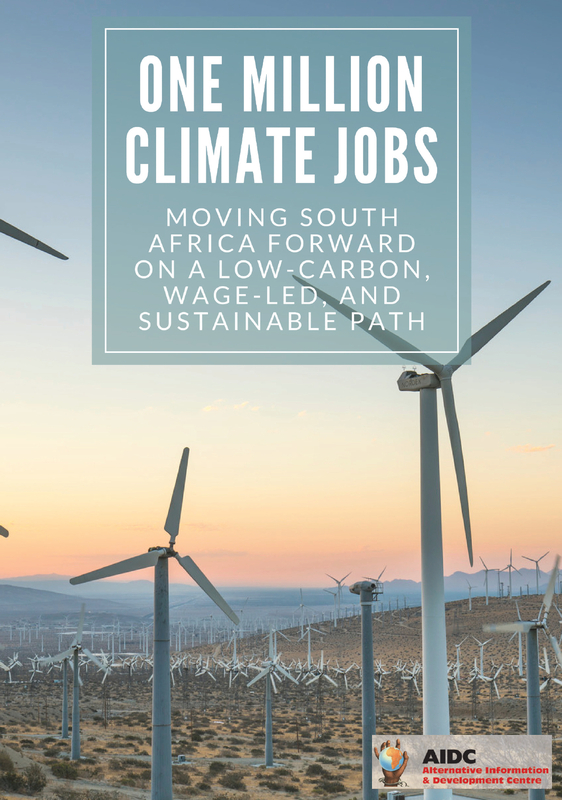 Or do we see an important continuing role for a transformed Eskom as one actor in a socially-owned renewable energy sector, together with municipalities, community organisations and co-operatives?